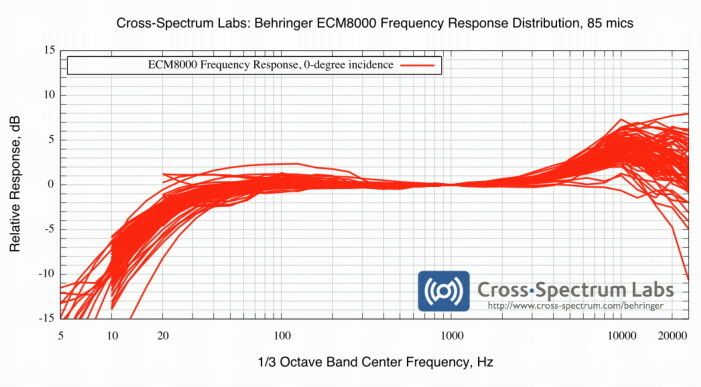 Last week’s AVRant episode briefly discussed using the Behringer ECM8000 for room acoustics measurements and home theater system tuning. The ECM8000 is a great microphone for the price (~$45-$55USD). However the mic most certainly does not have a flat frequency response, despite what the curve on the box might indicate. Furthermore, the response of any particular microphone may vary widely from unit to unit. 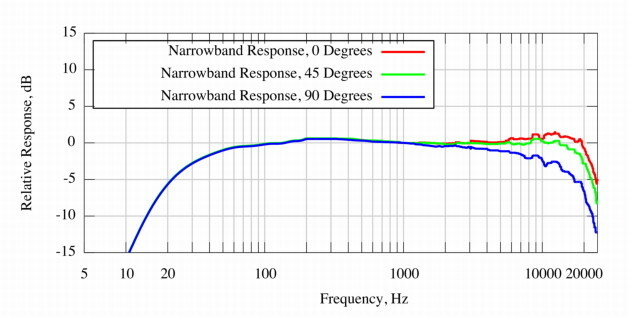 These curves to not account for individual sensitivity and are all normalized for 0 dB at 1000 Hz. I’ve also shown the 1/3 octave-band data - while I have the narrowband results for these mics, it would take forever to generate the plot because of the amount of data involved (each curve is 33,000 points) . 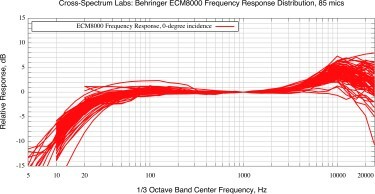 Between 200 Hz and 2.5 kHz the ECM8000 is generally flat. Above and below that range there may be significant deviations. 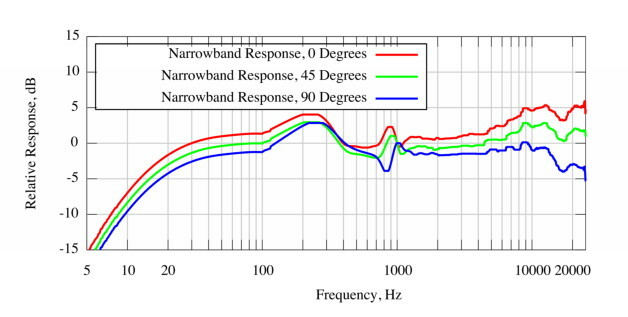 There are plenty of “generic” ECM8000 calibration curves available on the internet but I think the plots show why those curves may not be all that useful for any particular microphone. If you want to get the most out of an ECM8000, you need to get it professionally evaluated. If you don’t already own an ECM8000, you can of course order one from me.. If you already do own a mic, you can have if calibrated by me, by Kim Girardin, by Hi-Fi-Selbstbau (if you’re in Europe) or a professional NVLAP-accredited laboratory. Otherwise, use your uncalibrated ECM8000 at your own peril. Update: I also want to add Joe Demarinis at WinchesterLab to the list of microphone calibrators. Another example of why you want your mic calibrated: maybe you'll get lucky and get an ECM8000 out-of-the-box with a response like this. But then again, you might get a microphone with a response that looks like this.